Le Cordon Bleu Melbourne students recently hosted a delightful dégustation dinner for 24 education agents. The event showcases the impressive level of culinary excellence that Le Cordon Bleu students attain. For those agents visiting Le Cordon Bleu Melbourne campus for the first time, a tour hosted by Ken de Mallindine (Melbourne Regional Manager) introduced guests to Holmesglen’s impressive facilities. 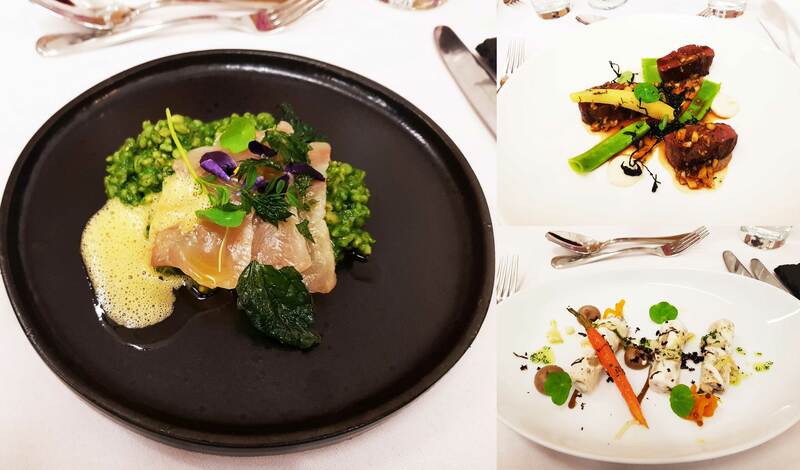 The dégustation dinner was expertly prepared and served by Certificate IV Cuisine students who had just returned from their Work Integrated Learning placements and were excited to put their industry experience into practice. Delighted guests sampled nine dishes, each demonstrating a high level of culinary technique combining classical French and modern cooking with a wide variety of ingredients imparting colour, taste and texture. To complement the meal, guests were served artisanal French champagne on arrival, followed by a succession of white, red and dessert wines from Australia and France. Congratulations to those students involved for their high standard of professionalism and commitment to excellence. The next dégustation dinner for education agents will be held in March 2018.